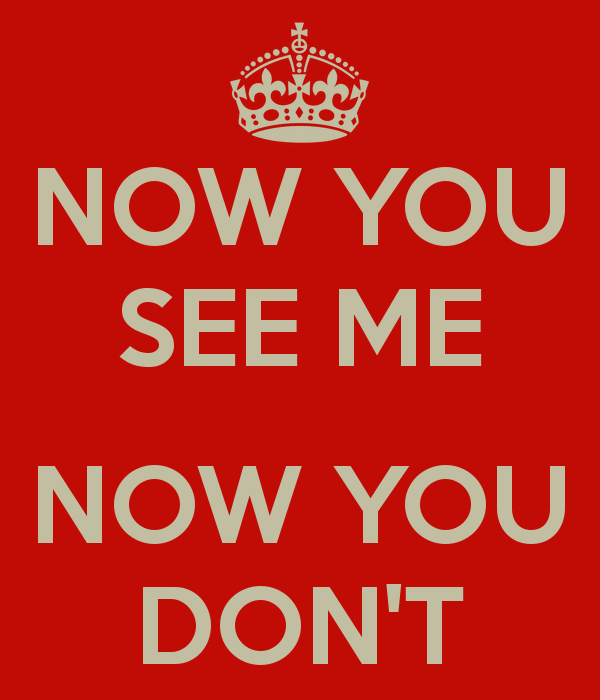 The British Gazette » Now you see Me…… Now you don’t!!!! Alex Salmond’s dream of an independent Scotland may appear to be moving closer to reality is the movement in the opinion polls continues. The dream of course, were it to become reality would be a nightmare: But for whom? Of course Scotland will not really become independent. The reality is that the EU would tighten its control north of the border. Thus independence is a chimera, a charade. Mr Alex Salmond: the Great Illusionist! Or should that be Delusionist? Independence will not appear the next day. It will appear at the end of a process to which 2016 may appear an optimistically short time. This process will be a negotiation. The outcome of any negotiation depends of course upon the negotiators. Whilst in the event of a “Yes” vote the identity of the Scottish negotiators is a relative certainty, the identity of the UK’s negotiators is not. Their identity will only become apparent after May 2015. We could well be witness to one of the most outrageous travesties of democracy in history. This is because it is not impossible that Mr Miliband will be able to form a majority government – albeit a temporary one. Why? Because he will have a “little helper”. Who, pray is to be Ed’s “little helper” ? We hear you ask. Why it will be a Mr Alex Salmond of course! You see, Mr Alex Salmond will be in the most extraordinary position, for Mr Salmond will effectively be able to appoint not only his own team of negotiators but have a hand in appointing Mr Milibands! Should the SNP put up candidates in the 59 Scottish parliamentary constituencies in the General Election of 2015? There are very strong reasons not to do so! Were the SNP not to put up candidates the choice would effectively be between the three main main Westminster parties, the Conservatives, Labour and the Liberal-Democrats. Given the Lib-Dems unpopularity the result would be obvious: Labour could very well come away with 58 of the 59 seats. If Labour’s majority was equal to or less than this figure, Mr Miliband would effectively be governing on the votes of a future foreign country. Clearly, Mr Miliband will wish to delay the date of Scotland’s independence for as long as possible. 2016 was always optimistic. The SNP had given the rest of us the date of 2020 to remove its nuclear weapons from Scottish soil. It is possible that Mr Miliband and Mr Salmond will set 2020 as the date for Scottish independence. This will give Mr Miliband five years in Westminster. Five years in which to rule England without a democratic mandate. Of course, Mr Milband will have to offer something to the English electorate. That is likely to be regional assemblies. These will likely have some powers delegated from Westminster and other powers taken from the local authorities within their bailiwicks. The consequences of independence for Scotland have been discussed. Less discussed have been the consequences for England (and Northern Ireland and Wales). It is clear that the Labour Party governing England with its Scottish and Welsh MPs will wish to delay the Day of their Judgement for as long as possible. After all, a condemned man does not generally rush to the gallows – although the late Albert Pierpoint would point out some instances when this is what happened. What is clear is that the elected regional assemblies – which will likely be rushed through without asking the people in those regions their opinion via local referendums – will have some form of PR applied to them which of course will help UKIP get members elected to them. - England will have a Labour Party that will have governed undemocratically for a whole parliament. - England will have an independent Scotland on its borders. - England will be the only country in the EU with its own currency. - The Joint Exchequer Board will be disestablished when Scotland adopts the Euro. With UKIP having many members elected onto the regional assemblies, the Tories will have probably reassessed their position. The EU in any event will probably have accepted the political reality of the UK moving out of the EU and into the EEA. England will not be in such a bad position: true, England will have suffered under five years of a Labour government it did not elect. However, Scotland will have seen much of its financial services sector relocating to England. Lloyds Bank have already made plans. With Scotland in the Euro and locked into the EU, the prospect of REAL and not PHONEY independence would appear almost irresistible for the good people of these islands! It could well be that the Tories and UKIP will have reached an agreement by 2020. That is to seek withdrawal from the EU and into the EEA. The problem for Mr Cameron is that Mr Miliband may well seek the same thing! Thus, UKIP will be pushing at an already open door. For UKIP however withdrawal from the EU and entry into the EEA can only be a half way house as membership of the EEA means that England will still not have sovereign control of her borders. - It’s borders (and who it accepts as citizens).